Tired of reading the same old story? Here’s how to give it new life. 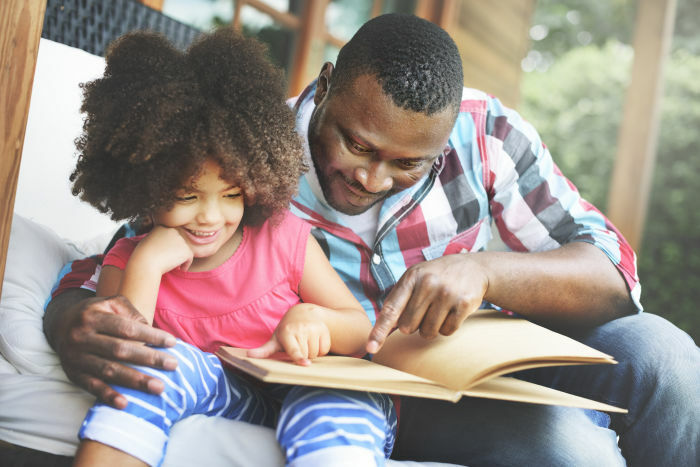 Reading aloud to children is one of the most important activities parents can do to help little ones develop essential skills in reading, math, and more. In fact, you can use story time to expand your child’s learning by using an engaging book as a foundation for playful and fun learning activities. Start with your child’s favorite book; the one that he or she asks you to read over and over again. 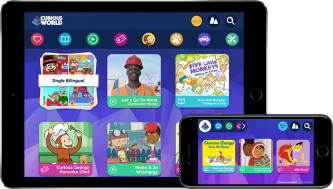 Characters in favorite books come alive to kids, making it easier for little ones to relate what happens in the story to real life experiences. Point out interesting actions in the story and point to key words on the pages. Make observations and provide explanations as you read. This will help your child develop vocabulary, expand comprehension skills, and build knowledge. What did you like about the story? Ask “what if” questions such as “What would the ending be if something in the story happened in a different way?” The conversation about the story should include a discussion of the characters, their emotions, etc. This type of discussion helps to build critical thinking skills. Are there things within the book you can count or add? Can you do a letter search, or learn about the consequences of the character’s behavior? Mini lessons can be found in almost every story. Does the story use rhyming words? It’s fun to dance to the rhyme as you say the words aloud, or act out a scene from the story with stuffed animals, dolls or other family members. This helps tap your child’s creativity and physical development. Create activities based on the book. If you are reading about the Three Little Pigs, get out the blocks and build a house the wolf can’t blow down. When reading Curious George Makes Pancakes by Margret and H.A. Rey, make pancakes together and have your child count and measure the ingredients. Go online and learn how maple syrup or flour is made. Read other books with similar themes or find books about the same character your child loves. This will help keep your child engaged. Explore the behavior of wasps and bees in your neighborhood. Make jam sandwiches together and measure the ingredients. Build a pulley using string and blocks to lift and move small items. Make a chart with pictures of all of the jobs found in the village. What does a baker do, a farmer, etc.? Solve simple problems such as how can we make sure we don’t spill water in a glass? You can help your children develop early reading, math, social studies, engineering, art, and other skills — all from activities based on their favorite stories. So don't shelve their favorites just yet! These books have so much more to offer beyond their dog-eared pages. Share with us on Facebook your family’s favorite storybooks!